Now, I am fully aware that we are less than 3 months into 2015. However, I've always been a planner, and as such am already looking ahead to the best travel destinations for 2016, and right now Cuba is at the top of my radar. Today, I'm going to provide you with just some of the reasons why you should consider going to Cuba, and why Cuba is going to be one of the hottest travel destinations of 2016! Firstly, Cuba is located in a prime region for tourists. 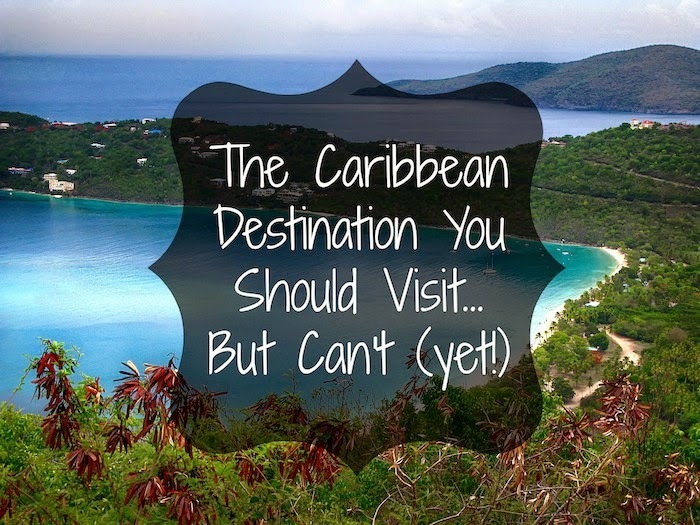 The Caribbean is well known for it's gorgeous beaches, white sand, and stunning blue ocean water. 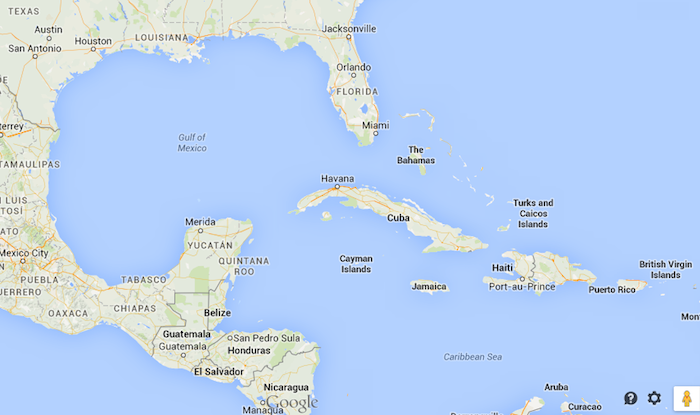 Cuba is located a mere 90 miles from Key West, Florida. 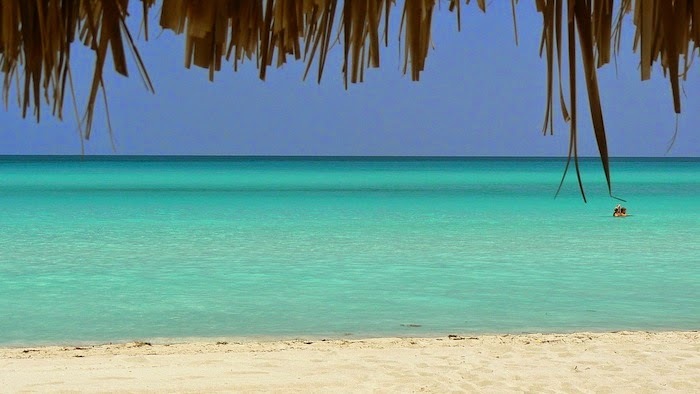 The proximity of Cuba to the U.S. and the ideal location in the Caribbean makes it a perfect vacation destination! Now, if you are in the U.S., you may be wondering- why haven't I thought of traveling to Cuba before? Until recently, Americans have largely been unable to visit Cuba. This is because of the U.S. embargo set against Cuba, dating back to 1960s and the Cuban Missile Crisis. Largely, this meant it was illegal for U.S. citizens to visit Cuba. Of course, there were ways to circumvent this- by entering Cuba through a third country and not having your passport stamped- however, it was quite difficult to achieve travel to Cuba. Recently, however, there has been a "people to people" contact, where with the approval of the U.S. State Department U.S. travelers could go to Cuba through chartered trips. However, largely these trips were strictly monitored, on the grounds of political or religious grounds, and heavily organized so visitors were not able to partake in such activities like going to the beach or swimming. However. On December 17, 2014, President Obama began the easing of travel restrictions to Cuba. Currently, there are now 12 categories of authorized travel in which Americans can visit Cuba without purchasing specific licenses, including educational activities, public performances, athletic competitions, and support for the Cuban people and humanitarian activities. While these activities don't currently include straight tourism activities, the ease of current restrictions has made it easier for Americans to begin traveling to Cuba. Because Americans have largely not been able to travel to Cuba, it is now almost the forbidden fruit, and is certain to become more and more of a hot travel destination as the restrictions are further lifted! In 2014, Cuba hosted 3 million travelers, with 92,348 Americans visiting. So, now that you have decided you want to go to Cuba…what exactly does Cuba offer to travelers? One of the perks of traveling anywhere in the Caribbean is bound to be your proximity to stunning white sand beaches and gorgeous ocean views. With a view like this, how can you go wrong? Beyond just relaxing on the beach, there are countless other activities to be done, including snorkeling, scuba diving, swimming, and surfing. Visiting Cuba offers the chance to visit a Caribbean island with rich culture and history. There are nine UNESCO world heritage sites in Cuba, all of which are generally well preserved. With the tourism industry just beginning to boom in Cuba, many of these sites may begin changing…thus, the need to get to Cuba now! The streets of Cuba are literally lined with classic American cars from the 1950s. 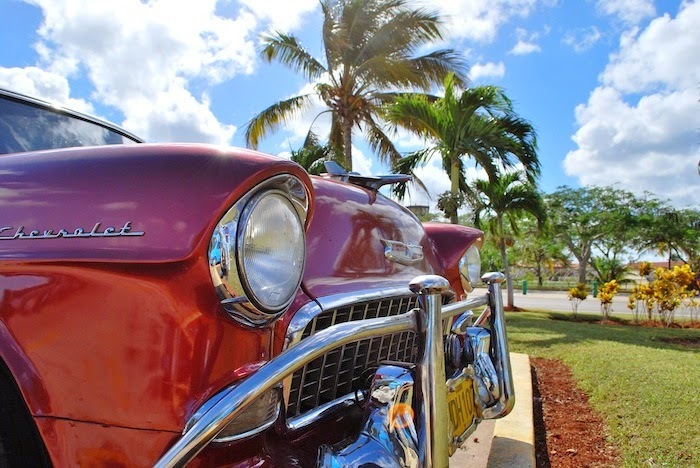 While you might think this is just because Cubans are avid car collectors, it is actually because of a restriction placed in 1959 by Fidel Castro. After 1959, Cubans required government permission to import new cars- thus, the majority of the cars you will see lining the streets of Cuba are classic American cars. Cuba is home to many gorgeous cities, including Havana, Trinidad, and Santiago. The bright colors of the buildings all look simply stunning. Wandering the streets of Cuban cities, you will see many different architectural styles decorating each and every building, combining to create truly unique cities. As Cuba has largely been untouched by tourism, there are many stunning natural views and sights to be seen. 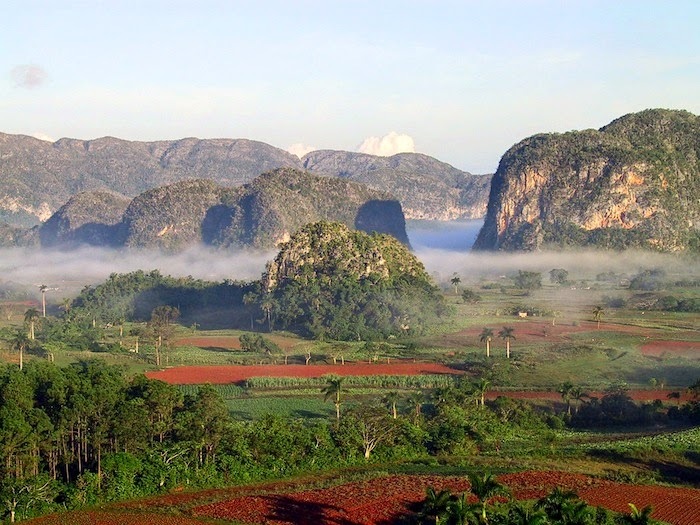 Above is the Viñales Valley in Cuba, just one of the UNESCO heritage sights preserved on the island. Of course, there are many more reasons to travel to Cuba. On any trip, it is almost a necessity to experience a Cuban cigar, and the taste of a Havana Club mojito. The music, dancing, and general creativity of the Cuban people is certainly a highlight as well. Combining all of the highlights of Cuba, with the fact that Americans will soon be able to travel to Cuba more easily than ever, and Cuba is certain to be one of the top travel destinations in 2015 and 2016! I would love to visit Cuba as well! After hearing that the travel restrictions would be eased, I got excited! 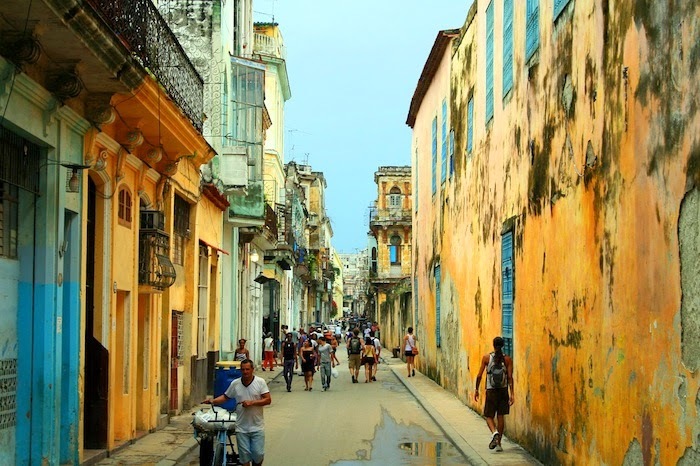 Great post and great reasons why we all should visit Cuba! Christine, I definitely got excited as well when I heard a few months ago. Unfortunately, I think it will still be awhile until restrictions are totally lifted! Ana, if I was you I definitely wouldn't have risked that either! I know for Americans you can go and not get stamped (if you are lucky) but it seems pretty risky to me! Oh my goodness, those beaches!!! I'll admit that I've never really thought of visiting Cuba because it's never really been possible, but this makes me want to head there on vacation! Thanks, Julie! It was never at the top of my list until lately, and now I think my hubby and I will definitely be trying to plan a trip soon! I have been dying to go to Cuba, I've only heard great things about visiting. I love the photo of the colorful buildings, so festive! Annessa, from what I've seen all of the streets are lined with colorful buildings! Like you, I've only heard great things…definitely on my list! My boyfriend is dying to go to Cuba, it is at the top of his travel list, and now I can see why, it looks amazing! Well, hopefully you two will be able to go soon! Definitely easier now that the restrictions for Americans are slowly being lifted- of course, he wouldn't have had a problem! I've been seeing more and more bloggers go to Cuba, and I really want to go!! I really want to get there while it's still full of classic 50's cars. I'm afraid that if I wait too long, it's going to get more and more modern! Anna, I definitely feel you on that. I think that is one of the attractions to go to Cuba sooner rather than later- get there before it is changed and completely touristy! Anna, I completely feel you on wanting to get there before it is more 'modernized'. I think that is a lot of the charm for Cuba right now! I think you are so right about Cuba being the "it" destination this year. Unfortunately, I worry that they won't have the infrastructure to handle all the tourism all at once. Hopefully that's not the case. I would love to visit too. It looks amazing! I completely agree. I've done some research, and it does sound like Cuba is having a bit of a difficult time building the infrastructure to handle the influx of tourism. While it is great that things are being built, I think eventually it will take away some of the charm and uniqueness of Cuba.